I first met Graham Lentz not long before the publication of the first edition of his book, ‘The Influential Factor’ in 2002. 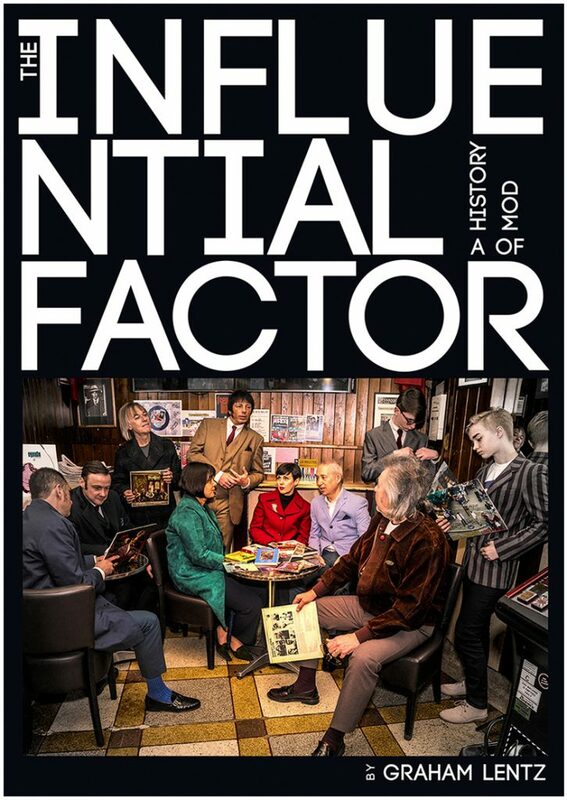 I remember thinking then it was a great name for a book on the world of Mod. At that time I was buying and selling photos from the 1960s, so Graham had got in touch and we then hooked up so he could have a look at what I had. I met him in Bar Italia (where else?) and we grabbed a coffee and chatted all things Modernist. He told me he was self-publishing the book, which was quite a challenge at the time. I was also dipping my toe into the PR game at the same time, so I got a flyer for the book to the producer on the Robert Elms BBC London radio show by handing it over on an early visit to his studio. Upon publication, Graham kindly sent me a hardcover of the book and inside was all the details you needed to know about the never-ending subculture. What I particularly liked was the interviews with people who were not immediately names you would have associated with the Mod world I knew. Upon further reading however, it was soon obvious as to the part they played in the grand scheme of things. People like Jeff Kruger and John Simons for example. Jeff was the original owner of The Flamingo Club, which started life as a modern jazz venue before morphing, after a change of address, into a Mod hangout with legendary status. John Simons had been designing and selling clothes from 1955 which were very much Modernist in flavour and was therefore at the vanguard of what was to follow. 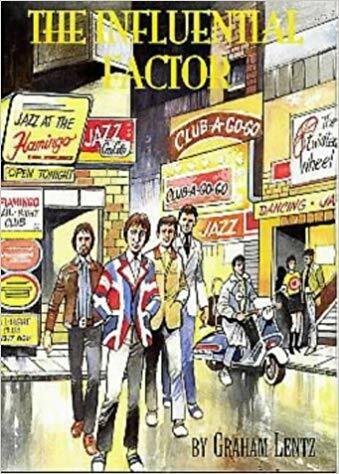 So good solid foundations lay there as the book progressed examining the early Mod days, through chats with those who were also at the time. 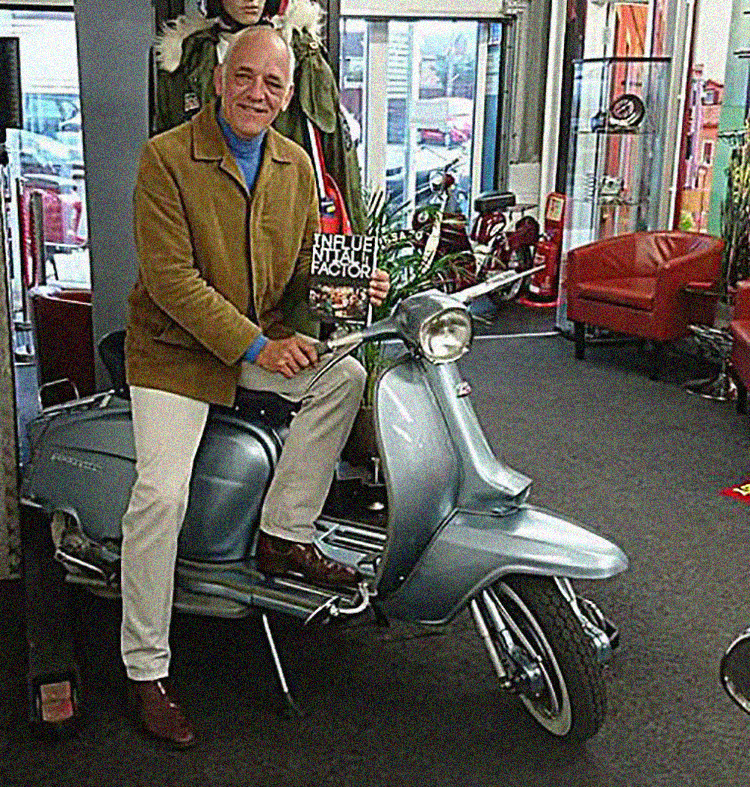 We then follow it into the more mainstream ‘Carnaby Street’ years, touch on the skinhead culture and music and then pick up on it again, riding the second-generation wave of the late 1970s. I liked Graham’s unfussy style of writing and the letting of the punters speak for themselves, so you the reader got the benefit of their accounts as opposed of the author putting his slant on it. The first edition of the book ends with a look into the way the culture had become a worldwide scene and this too was an insight for me at the time, something which I hadn’t seen examined in such depth before. Key contributors for that first edition included Paul Welsby, Eddie Piller, Neil Henderson, Rob Bailey, David Walker and Dizzy Holmes. I suppose if I was being hypercritical, the layout and design were a bit clunky, but I guessed this was as much the lack of finance at the time as anything else. When I self-published a book myself a few years later, I had nothing but the utmost respect for Graham in what he had achieved, especially in those early days, before social media had really kicked in. Over the following years, I would bump into Graham at various do’s and events and one of those was the unveiling of a Westminster Council commemorative plaque to Jeff Kruger on Wardour Street in 2017, at the site of where The Flamingo once stood. A few years before, Graham had kindly given me Jeff’s number when I was producing a documentary on Tubby Hayes. Jeff knew Tubbs well and gave us a great interview, so I was there to pay my respects to the man, as was Mr Lentz. Graham mentioned then he was planning on revising and updating the book. By that stage, I had written and published a few books myself and I thought it would be a good idea. There was definitely a market for it. Graham also mentioned he wanted to shoot the cover in Bar Italia and as I was the PR for the iconic coffee bar on Frith (or Froth if you prefer) Street in Soho, we managed to sort that without too much fuss. Celebrated photographer Derek D’Souza would go on to provide a fine image. Earlier this year, the 2018 version saw the light of day. Safe to say, it is a much cleaner design, this time by the hand of Mary Boogaloo and it works really well. In the book, Graham has interspersed some of the original text with new interviews and basically brought the whole thing up to date. There are new interviews in there from old hands like Gary Crowley, Darron J Connett, Fay Hallam, Peter Challis, John Hellier, Alex Banks, Neil Sheasby, Gill Evans, Paul Hallam, Ian Jackson and Jo Wallace to name but a few, along with the new breed that any scene needs to keep it alive such as Lucas Gomersall. All of these will be familiar names if you have any connection with the mod scene. So, hats off to Graham, he’s done a fine job here. He has once again explained the foundations of the scene and examined where it is at today. If you are looking for a comprehensive guide the world of Mod, then I recommend you pick up this book. It is influential indeed.